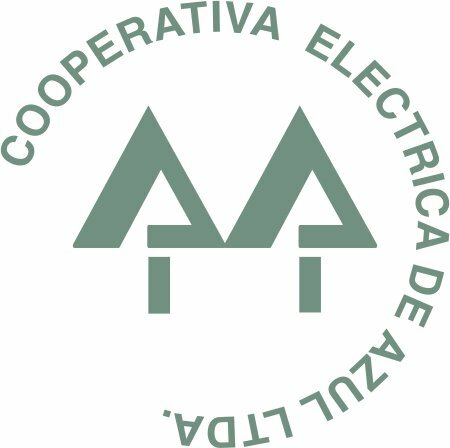 EL PRESIDENTE DEL CONSEJO DE ADMINISTRACION DE LA COOPERATIVA ELECTRICA DE AZUL LTDA., ANUNCIO ESTE JUEVES EN DIALOGO EXCLUSIVO CON RADIO CIUDAD QUE LA CEAL ESTA TERMINANDO LOS TRABAJOS DE ILUMINACION EN EL FUTURO BARRIO BIDEGAIN . AGREGO QUE " LUEGO QUEDARAN POR HACER LAS TAREAS DE DESAGUES Y AGUA Y ESPERAMOS QUE SE PUEDAN IR CUMPLIENDO LOS TRABAJOS CON LOS TIEMPOS QUE HEMOS TRANSMITIDO A LOS ADJUDICATARIOS PARA TERMINAR LA OBRA "
RUSCIOLELLI SE ENTREVISTARA ESTE VIERNES CON AUTORIDADES DE LA ENTIDAD DE CONTROL OCEBA, PERO ANTES FIJO SU POSICION CON RESPECTO A LA POLITICA DE "TARIFAZOS" DEL GOBIERNO NACIONAL. AL RESPECTO DIJO EL PTE. DE LA CEAL "LAS GANANCIAS DE LAS GENERADORAS Y TRANSPORTADORAS PRIVADAS ES IMPRESIONANTE ". EST SEMANA LA CEAL Y LA MUNICIPALIDAD HABIAN ANUNCIADO EL PLAN DE 1000 LUMINARIAS LED PARA EL PARTIDO DE AZUL (audio).